Perpetuate the common sense use and enjoyment of horses in America’s back country and wilderness areas. Work to ensure that public lands remain open to recreational stock use. Assist the various government and private agencies in their maintenance and management of said resources. Education, encourage and solicit active participation in the wise and sustaining use of the back country resource by horsemen and the general public commensurate with our heritage. 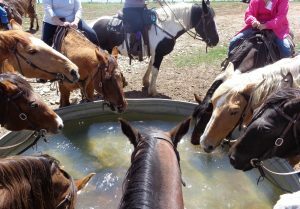 Foster and encourage the formation of new Back Country Horsemen chapters within Colorado.